This NOT AN ENTRANCE notice sign will help improve foot traffic in your building. Hand-made in the USA, this sign has rounded corners and is easy to install. Make sure visitors know which doorway or entry is not for use. 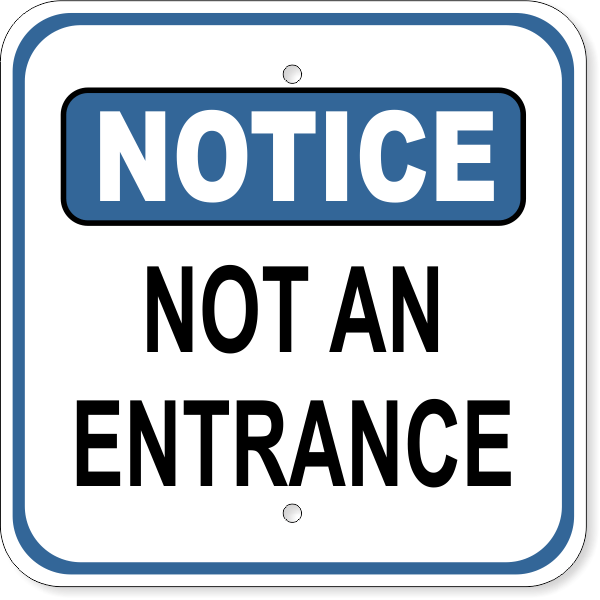 This 12 inch square notice sign will keep safety first with its "Notice NOT AN ENTRANCE" message that is displayed in all caps. Use outdoor or indoor. This weather resistant "notice not an entrance" sign measures 12" x 12" and is made from high-quality aluminum.